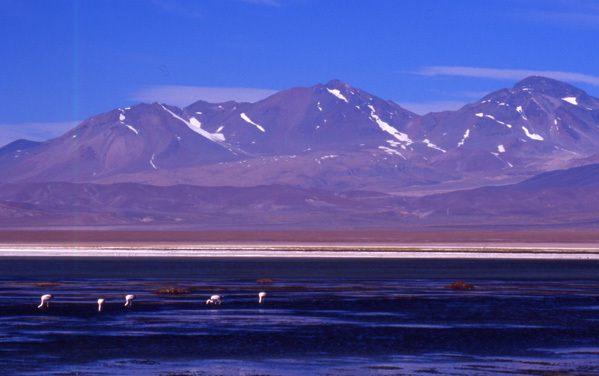 A very high peak on the Chile/Argentina border near Ojos del Salado. The Tres Cruces massif from Laguna Santa Rosa to the west. The two most prominent peaks are the Central and Sur peaks. 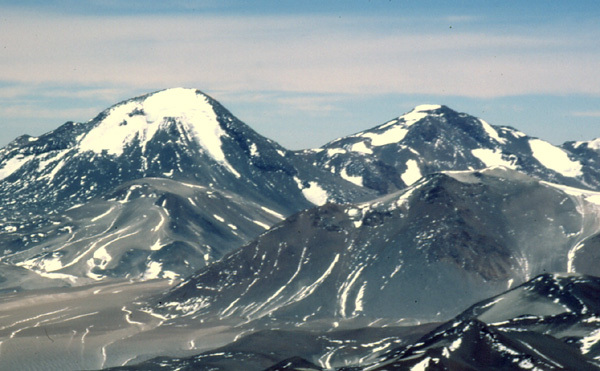 Tres Cruces Sur, on the left, from the summit of Ojos del Salado to the east. Climbing up to the high camp on Cerro Tres Cruces after recent snowfall in January 2009. 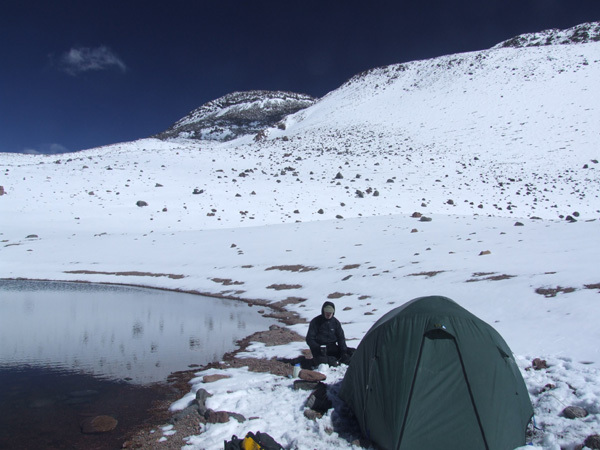 Pictured below is the high camp at 5935m in the col between Tres Cruces Sur and Tres Cruces Central beside a pool of water - we were nearly brave enough to go for a swim after our summit day!! We can organise guided ascents of this peak. 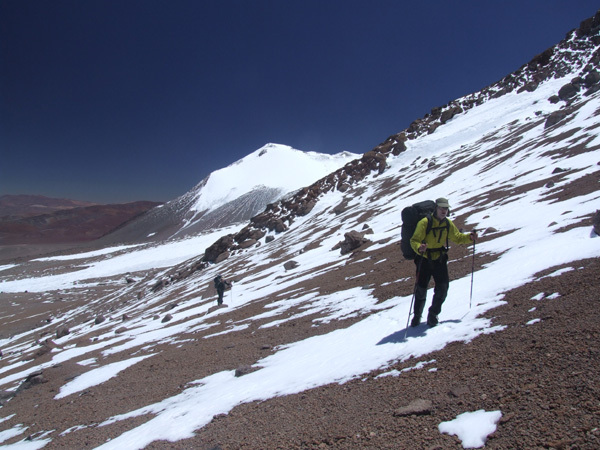 For details of how to climb Tres Cruces and neighbouring peaks in the southern Puna de Atacama please see our guidebook available in English, Spanish, Polish and French editions, direct from us or from all good bookshops and mountaineering shops.